Not surprisingly, feeding troops has always been a major issue for the U.S. Army. On November 4, 1775, the Second Continental Congress established a standard Army ration, which, on paper, consisted of set amounts of meat or salted fish, bread, peas, milk, spruce beer, and rum. Though this ration was quite generous for the time, the hardships of war took their toll on the ease of continually providing food for mass amounts of men. Soldiers were often left with little more than bread and whatever meat could be found. Dr. Benjamin Rush, Surgeon General of the Middle Department of the Continental Army, noted that sickness caused by malnutrition claimed more Soldiers’ lives than British bullets or bayonets. By the beginning of the Civil War, Congress, hoping to provide a better diet for Soldiers than what was consumed by troops in the Revolutionary War, authorized an increase in garrison rations. One important change to the rations was the introduction of coffee, which replaced rum. Throughout the Civil War, and beyond, coffee would remain a key ingredient to keeping the troops moving. By World War I, the Army had made noticeable progress in the practice of feeding troops. Three specific types of rations were introduced at this time: the reserve ration, trench ration, and emergency ration. The specialization of different ration types proved to be an important innovation in the process of developing an effective ration system. The effort to improve rations for American Soldiers will be explored in the National Museum of the United States Army in both the Army and Society Gallery and the Experiential Learning Center. The research used to develop means for the Army to ensure both preservation of food for extended periods of time and the health of the Soldiers has greatly affected the production of food for civilians as well. Examples of K rations which were best suited for Soldiers during combat operations. Photo courtesy of The U.S. Army Quartermaster Foundation, Fort Lee, Virginia. In 1936, the Army established the Quartermaster Subsistence Research and Development Laboratory, which spearheaded further development of Soldier rations. By the time of the United States’ entrance into World War II, the D ration, an emergency ration that resembles today’s power bars, and the C ration, a meal consisting of meat and bread components, were introduced to the troops. 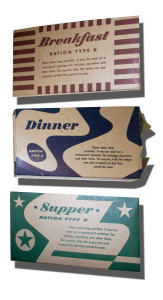 The K ration was also developed and modified prior to and during the war and provided an individual, easy-to-carry ration best suited for combat operations. All three were met with criticism of varying degrees. However, the effort to create a more specialized system of rations to suit the many needs of Soldiers flourished throughout World War II. During the wars in Korea and Vietnam, rations continued to evolve, but they remained largely based on the C and K rations developed during World War II. After the Vietnam War, the Army launched a program to create better tasting and more nutritious combat rations with longer shelf-lives. The result was the meal-ready-to-eat, or MRE. Developed largely by the Department of Defense Combat Feeding Directorate at Natick Soldier Systems Center in Massachusetts, MREs last up to five years without refrigeration and require no cooking. 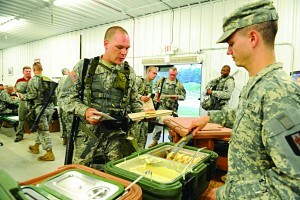 The options for MREs continue to become more diverse in order to accommodate Soldiers with various dietary restrictions. 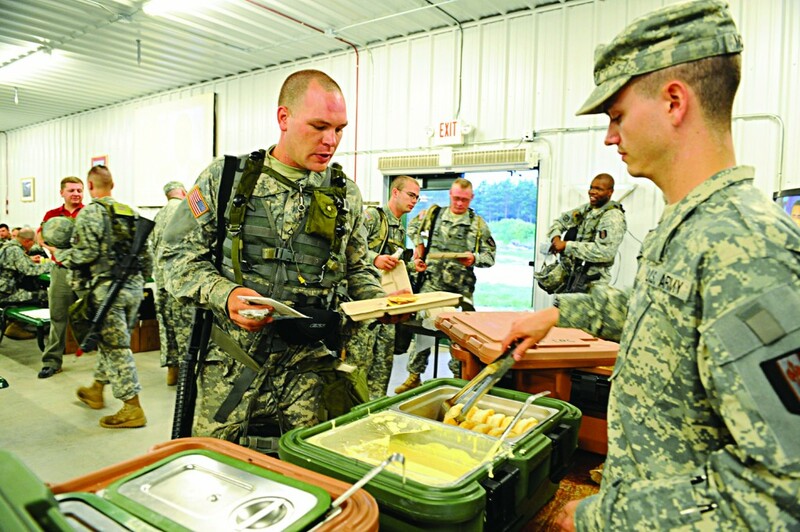 The introduction of the sandwich as one of the First Strike Rations for Soldiers in Iraq and Afghanistan is a recent and popular addition. 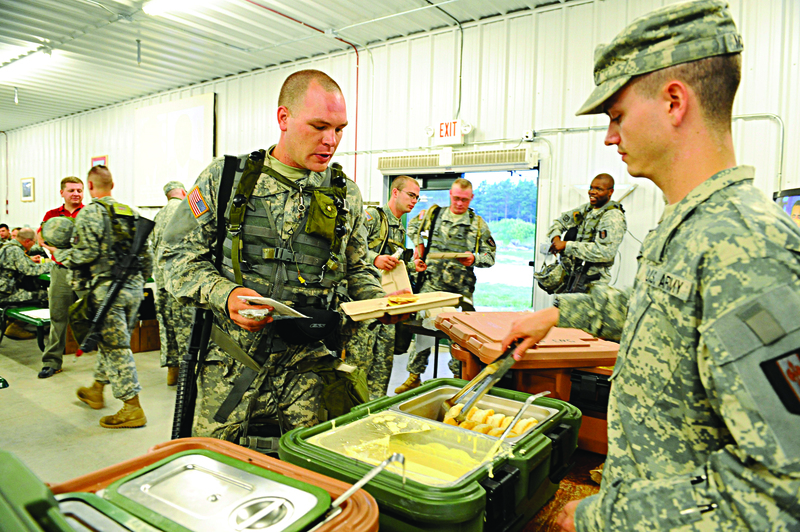 As the Army continues to develop and become more specialized, and as nutritional science advances, Soldiers’ rations will continue to evolve as well.